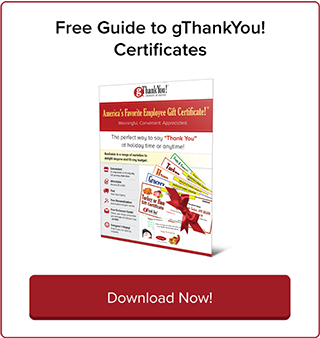 The only stores that do not honor gThankYou Gift Certificates are stores that do not honor any Manufacturer Coupons such as the club stores Sam’s and Costco, specialty stores such as HoneyBaked Ham and the Aldi store. We offer Free Recipient Materials (in Spanish and English) which explain how our Certificates work, where to shop and how to contact us with questions. 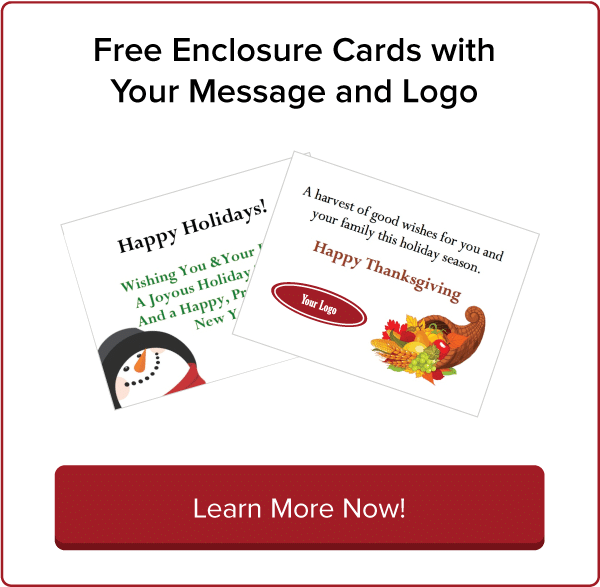 It’s perfect to give first-time recipients, share with managers and post in workrooms. We offer Gift Certificates in a variety of values so you can choose what best fits your budget and objectives. 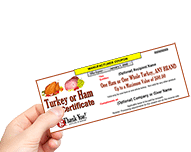 If recipients purchase an item that is less than the Certificate value, they simply receive the gift of the turkey or ham (for example). However, if they spend more than the Certificate value, they just pay the difference. We are always happy to take retailer and recipient calls. Our customer service line is open from 8 a.m. to 10 p.m. Monday through Saturday and 10 a.m. to 6 p.m. on Sundays (Central time). Hours are longer during the holidays and we add Spanish language support.